Forget pork; rabbit is the even newer white meat. They're cute--and highly digestible. Rich in Omega 3 fatty acids, high in protein, low in calories, rabbit is speedily becoming the even-newer white meat. So say star chefs, culinary schools, meat producers and, increasingly, ordinary home-cooks, who are consuming more rabbit than at any time since WWII. Ariane Daguin, founder and CEO of specialty-meat supplier D'Artagnan, tells ABC News her rabbit sales are double what they were four years ago. "It started slowly," she says. "At first, it was only the fancy restaurants who bought--the the ones with the Michelin stars. They started offering rabbit as a special. Then little by little they put it on the regular menu. Then more recently, in the past couple of years, the lower-cost bistros started to carry it. Then it showed up at retail. Two years ago, we were very surprised to get a call from one of giant supermarkets asking for it." 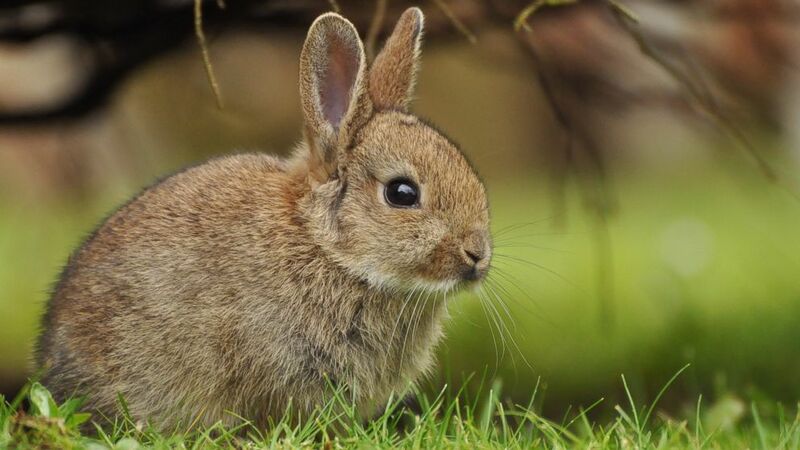 The general public, says Thomas Schneller, associate professor in charge of butchery at the Culinary Institute of America in upstate New York, still has an "issue" with eating rabbit, associating it, he says, with it with Bugs Bunny and Easter. "But the part of the public that goes out to a quality restaurant is willing to take a look at it now. It's lean. It's interesting. It's similar to chicken but more complex in flavor." Schneller says he sees it on more and more menus, in more farmers' markets, and in more high-end supermarkets. The Culinary Institute, he says, recently has added a "game day" to its meat curriculum, "and rabbit is at the forefront of it." Rabbits are no more difficult to butcher than chicken, Schneller says. His preferred cut is the back leg, which he says is meatier even than the loin. He recommends braising and slow cooking. Any recipe for braised chicken, he says, should work equally well or better with rabbit. "My grandmother would always make a Rabbit Paprikash," he reminisces, voice getting dreamy. "It's a Hungarian stew with white wine and onions and lots of paprika." Out in Marin County, north of San Francisco, Mark Pasternak and his wife own and run Devil's Gulch Ranch. Almost 20 years ago, he tells ABC News, the couple and their daughters bought a few rabbits--two females and a male--as part of a 4H project. Today Devil's Gulch has 2,000 rabbits, including 350 breeding females. He sells 300 rabbits a week, mostly to chefs but also to the general public, through farmer's markets and directly from his ranch. Twenty years ago, he says, hardly anybody was producing rabbits commercially in California. When he and his wife, who he describes as an "internationally-acknowledged meat rabbit veterinarian," started, the only rabbit meat available was shipped in frozen from out of state. "If you're Chez Panisse," he says, "you're not going to put that on the menu." Then one night, they had a chef friend from San Francisco over for dinner and served him rabbit. He liked what he tasted. After that, says Pasternak, the calls started coming in--first from Chez Panisse, then later from the French Laundry, La Folie, State Bird Provisions. His ever-lengthening list of restaurant customers includes Thai eatery Kin Khao, where chef Michael Gaines makes a green curry with rabbit loin and saddle. Right now, he says, the meat market is seeing what he calls "the great rabbit shortage of 2014": Demand has outstripped supply. Could rabbits take off with "urban farmers," the same was as urban chickens have? They already have. Pasternak says he has offered classes for homeowners who want to raise a few rabbits in their back yards. Declares a recent USDA report, "Rabbits have become the urban chickens of the 2010s." But with one difference important to homeowners who prize sleep: Rabbits, notes Pasternak, don't crow at 4 in the morning.